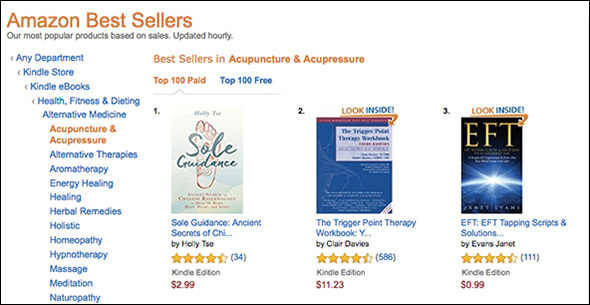 It’s been one year since my book, Sole Guidance: Ancient Secrets of Chinese Reflexology to Heal the Body, Mind, Heart and Spirit, was released. People are often curious about what’s it like to be a Hay House author. What does it feel like? How has being a published author changed my life? And, what’s happened since my book was released? 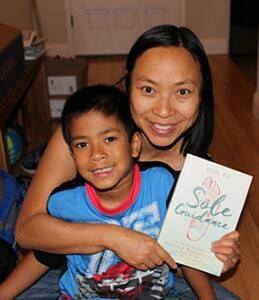 Sole Guidance was released on July 27, 2016. In retrospect, that wasn’t the best time for a new book launch as it was the middle of summer. My son was off from school and we were visiting family in Toronto. Not a good time to be getting the word out on a new book because there was just too much going and I was away from home. I just work better and more efficiently at home than while traveling. I had plans to host an online book launch party and run a “win an autographed copy of this book” contest. But quite frankly, I didn’t have the time to make it happen. I thought I’d try again this year and host a one-year birthday celebration party, but that pesky launch date right in the middle of summer holidays got me again. Summers are always so busy. We always visit family in Canada, and this year in addition to our annual trip up north, my in-laws also came to visit us. We took them on a road trip to Sequoia National park. Very big trees! No one creates in a vacuum, and that’s true for me. Without the work of the authors who came before me, I wouldn’t be where I am today. There are so many books that have opened my eyes to new ideas and changed the trajectory of my life. It’s often said that we stand on the shoulders of giants. I’d have to agree to a certain extent. But why only a “certain extent?” Well, the way I see it, we do stand on the shoulders of people who have gone before us. But as you realize your own brilliance, you see that everyone is a giant. We are all talented, brilliant, and have something important to contribute to the world. There is no one who is “better” than another. We’re just at different points in our lives and in the realization and expression of our true brilliance. Reflecting back on my life and the tremendous growth I’ve experienced (personal and professional) during the past five years, there are several books that really stand out in my mind as ones that have made a HUGE difference in my life—not just the big things, but how I approach my day, and how I feel every day as I go about my regular routine. At the end of this article, I’ve listed the top six books that come to mind. I hope you enjoy them and find some of them as profoundly life-altering and mind-expanding as I have. What’s Happened Since My Book Was Released a Year Ago? I always expected sales to be steady, and slowly grow over time until some magical manifestation (e.g. some famous person read it and it helped their grandmother, and they told everyone about it) kicked off a massive climb to the top of the New York Times bestseller chart. It’s been fun watching my book top the Amazon charts in the U.S. and all over the world, including Canada, the United Kingdom, Australia, Italy, and even very briefly in France. I guess I can now claim to be an international bestselling author. In terms of book reviews, the majority of readers gave the book four and five-star reviews. It’s lovely to see that people are enjoying the book, and the writer in me geeks out when people appreciate my writing in addition to the information about Chinese Reflexology. However, it’s the stories of people transforming their health and their lives that really fill my heart and soul with joy. Being able to make a difference to help others improve their health and well-being is what really excites me and fuels me. Actually, what excites me even more is seeing the light bulb go on. The Chinese Reflexology and Dragon Spirit switches something on in people and they realize their own power to heal, grow and express their true brilliance. So how has my life changed now that I’m a fancy schmancy “international bestselling” author? If you’ve read the article I wrote on the day that I learned I won a publishing contract with Hay House, you’ll know that after hearing that I was the winner, life was still the same. My cat still whined for dinner. I still plopped a can of cat food into his bowl. Then my family went out for dinner to celebrate at the same sushi restaurant we always ate at because that was the one that made salmon teriyaki the way my son liked. And now I’m here to report that a year later, life is still pretty much the same. The cat still whines for dinner—oh boy, does he ever whine!!! I still plop a can of cat food into his bowl, and we still eat at the same restaurants we always do. Unfortunately, there aren’t any good sushi restaurants where we live now, so instead we go out for poke (it’s like Chipotle’s for sushi). And while we did move to a new home, that was in the works before I won the publishing contract. My son was about to start first grade, so we moved for the better school district. I would have to say that day-to-day life does not radically change when your book gets published or you check off a big item on your bucket list, but there’s a reason why, and I mentioned it in the aforementioned article about winning a publishing contract (yeah, that was a totally gratuitous use of a repetitive word structure just for the fun of it). Anyhow, I digress. The reason why life isn’t so different is because in order to achieve big items on your bucket list, you have to change who you are inside to become the type of person who would achieve the big item on your bucket list BEFORE you achieve the item on your bucket list. Who you are inside really does affect your outer reality. And it’s not so much about achieving or accomplishing. It’s about the journey. This book is the grandmommy of books in terms of the mind body connection. The copy I have on my bookshelf was printed in 2001, about the time when I hit rock bottom in terms of health. Louise Hay’s perspective on how specific illnesses are related to specific emotional and mental triggers opened my mind to whole new way of thinking. I’ve had this book for over 15 years! And that says a lot because I periodically cull my belongings and only keep those that I use or treasure. 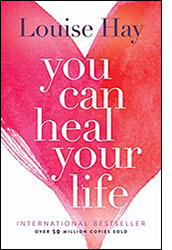 You Can Heal Your Life has a brilliant chart in the back that lists different diseases and ailments, and their related mental and emotional roots. E.g. Lower back pain is related to fear of money or lack of financial support. Arthritis is associated with feeling unloved, criticism, and resentment. Tinnitus has its roots in a refusal to listen, not hearing the inner voice, and/or stubbornness. Note: Two days after I published this post, I learned Louise Hay had transitioned and passed peacefully in her sleep. Two days later, I’m still trying to process the news. Part of me is shocked and part of me is sad at this tremendous loss (that’s the part I’m hiding from right now. I know, I know, I’ll have to face it eventually). But another part is curious where her spirit is now, and wonders who might she reincarnate as, and what a gift to the world it will be when she does. When I feel into what Louise would want for us, wouldn’t she tell us to affirm love and joy? Last time I checked, there were over 27,000 comments on her Facebook page from people expressing their condolences and sharing how she had changed their lives. I had the great fortune to meet her in person about 8 years ago. Her book changed my life. She will be missed, and dearly remembered. Speaking of books from a long time ago, I bought this one back in my high stress high tech days. 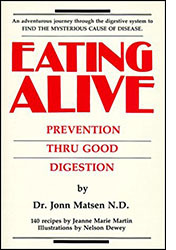 Eating Alive taught me how the health of the digestive system can impact your overall health and vitality. This seems like a no-brainer now, but this was back in the ’90s when alternative health really was alternative :). What I liked about this book was that it was fun to read with cute little cartoon illustrations. It took complex systems and explained them in a simple and humorous way that made it easy and enjoyable to learn. The idea of making “boring” biology fun stuck with me, and definitely was an inspiration when I wrote Sole Guidance. Here’s one more trip back in time. 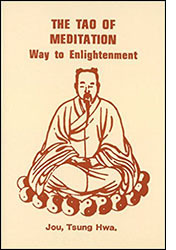 I picked up a copy of The Tao of Meditation: Way to Enlightenment when I was a young whippersnapper in college (yeah, who talks like that anymore? Me!!!) There was this amazing bookstore in Toronto called, The World’s Biggest Bookstore. I believe it may have been the world’s biggest bookstore. It was enormous and filled with thousands upon thousands of books on every topic imaginable. I loved walking through the different sections and seeing how the people were so different in each section. E.g. romance readers vs. computer book readers. At the time, I was obsessive about martial arts, and The Tao of Meditation very succinctly explained the Chinese philosophy behind Tai Chi—yin and yang, heaven and earth, cycles, dynamic balance, etc. This book got me hooked on Eastern philosophy. Several years ago before I got “serious” about my blog, I was floating around aimlessly trying to figure out my purpose in life. I was feeling frustrated. I knew what I didn’t want, but I didn’t know what I did want. I pondered how I—the adventurer—had morphed into a suburban stay-at-home mom. This wasn’t the life I was meant to live. I always felt there was something more that I was supposed to do, but what was it? The Universe had an answer for me. I was driving home after buying groceries and had an impulse to stop at the local Barnes and Noble. I was drawn to the bargain book section, and a hardcover copy of The Amazing Power of Deliberate Intent caught my eye. I picked it up, flipped through a few pages, but because of a poor experience with a “channeler” in the past, I set the book down and left the store. Hours later, the book was still on my mind. I felt a strong compulsion to return to the store and buy the book. And that’s what I did. It turned out to be one of the best decisions I ever made. The Amazing Power of Deliberate Intent is very “chaneller-y” in its language, but the meaning behind the words transformed my life. I’d always known about Law of Attraction and had witnessed it many times in my life, but I gained so many new insights in the words that I read. And after finishing the book, I literally went from feeling okay with my life—not miserable, generally happy and optimistic—to feeling immense joy every single day. This book and the teachings of Abraham-Hicks have brought be comfort during times of challenge, helped me see the bigger picture in life, feel more compassion and connection, happier and more joyful, and they’ve also helped me manifest like crazy. Sure, I have grumpy days, and I experience the vast array of negative human emotions daily, but I’m able to let go of them much more quickly and to transform them so that they don’t hold me back. I feel moments of peace, awareness, and grace every day. Admittedly, this book may not be everyone’s cup of tea. The channeled language can read a bit stilted and verbose. It may not be acceptable for your belief system. But if it’s the right message for you, then it’s extraordinarily profound. 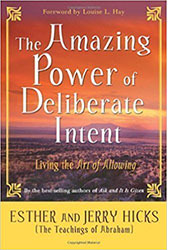 Okay, I had to include one more “book” from Esther and Jerry Hicks. The book itself is meh, but the meditation CD is the real treasure. Several years ago, I was looking at the community board at Whole Foods and saw a flyer for a Law of Attraction workshop. Ironically, I found the flyer not very “attracting.” But since I was interested in the topic, I made a note of the name of the person teaching the workshop. A few months later, I was at the same Whole Foods and noticed a new flyer from the same person, only this page was bright, positive, and very attractive. It made me want to sign up. I got an urge to email the workshop leader and tell her that her new flyer was brilliant. She wrote me back and said it was because she was listening to, The Vortex CD from Abraham-Hicks. I figured that if it resulted in such a dramatic change in the energy of her flyers, I’d look into it. I ordered the CD, and began listening to the four meditations covering general well-being, health, finances, and relationships. Somewhere in the book or CD, it said that if you could listen to a meditation every day—they were short, only about 15 minutes each—for 30 days in a row, your life would transform dramatically. I set out to do this and failed at least two or three times—always getting close to the end and then forgetting to listen for a day. Consequently, I had to start counting from Day 1 again. When I finally completed 30 days in a row (several months later), I realized that my energy had indeed shifted, and my life had transformed. My perspective had grown so much, I felt lighter and empowered, and amazing things were happening in my life. This CD was the precursor to the immense change and growth of my blog. It led me to focus on Chinese Reflexology, and it also helped me expand my mindset to share my knowledge with the world. Again, this seems like a no-brainer, but I sat on my knowledge of Chinese Reflexology for years without telling anybody about it. I had to grow as a person and be open to vulnerability in order to do this. 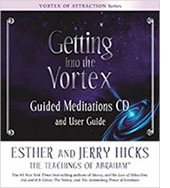 So if you’re interested in this title, make sure you get the guided meditation CD. It’s a little confusing because there’s a book with an audio version of the book, but that’s not it. What you want is the book that comes with the CD that has the four meditations on it. This link will take you to the right version. Who hasn’t heard Oprah speak about the value of a gratitude journal? For years, I knew gratitude was important, but I never got into the habit of writing in a gratitude journal. Yeah, I tried, but I always abandoned it after a day or two. 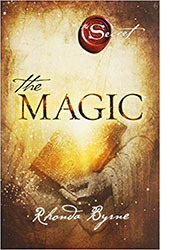 Then I read The Magic by Rhonda Byrne. It’s a book about gratitude, but what makes it different is that rather than tell you why you should practice gratitude, Rhonda created a set of 28 daily practices to help you practice gratitude. Something about a 28 or 30-day plan really appeals to me so I gave it a try. Part of the daily practice included making a gratitude list to “count your blessings.” This activity forced me to really look at how I was making my gratitude list. Practicing every day made me realize that I approached it like a chore or high school assignment—get it done as quickly as possible in the least amount of time possible so that I can check it off my to-do list. This made me realize that my gratitude practice, quite frankly, sucked. Then I had the epiphany that I needed to focus on the feelings I experienced when expressing gratitude. As an Abraham-Hicks fan, I also prefer using the word appreciation instead of gratitude. It feels more expansive to me. So I changed things up midway through the 28 days. I wrote about what I loved and appreciated versus what I was grateful for. And then I tuned into the emotions I felt about what I loved and appreciated. This became the basis for the love and appreciation practice in my Sole Guidance book. When I practiced my version of gratitude journaling, I noticed an immediate difference. I can’t quite put a finger on how to describe it, but on the days that I didn’t write in my gratitude journal, I felt a bit edgy and slightly abrasive. I was definitely a lot happier and “flow-y” when I wrote in my journal each day. After writing my love and appreciation list for 235 days in a row, I looked back on the year and realized so much expansion had occurred during that period. I wholeheartedly believe this practice contributed significantly to me winning the publishing contract with Hay House. The Magic and all of the books in this list appeared to me at the right time. I love and appreciate them—feeling happy and expansive. Without these books, I may not ever have written Sole Guidance. The book certainly wouldn’t exist in its present form. I hope that Sole Guidance and the books on this list will be a stepping stone to greater things for you too—so that others may stand on your shoulders as I have stood on those who came before me.